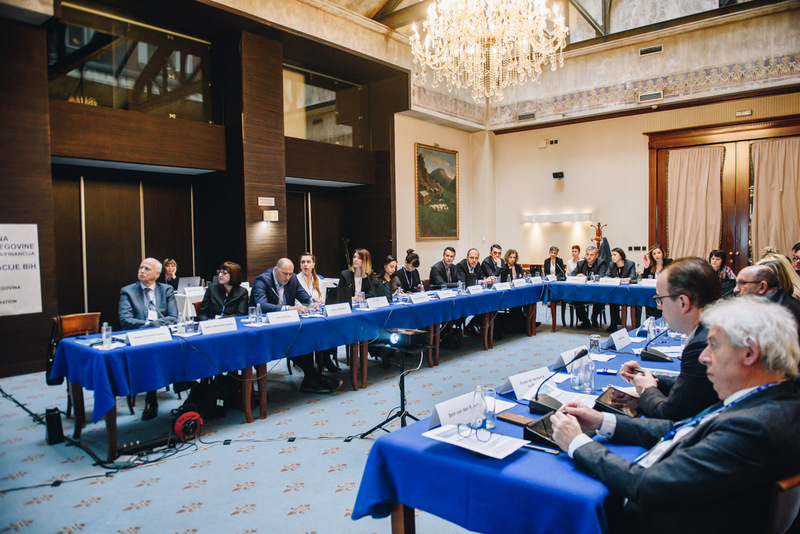 Together with Tax Administration of Federation of Bosnia and Herzegovina (BiH) we held a round-table on Reshaping Tax Administrations Through Influential Leadership. 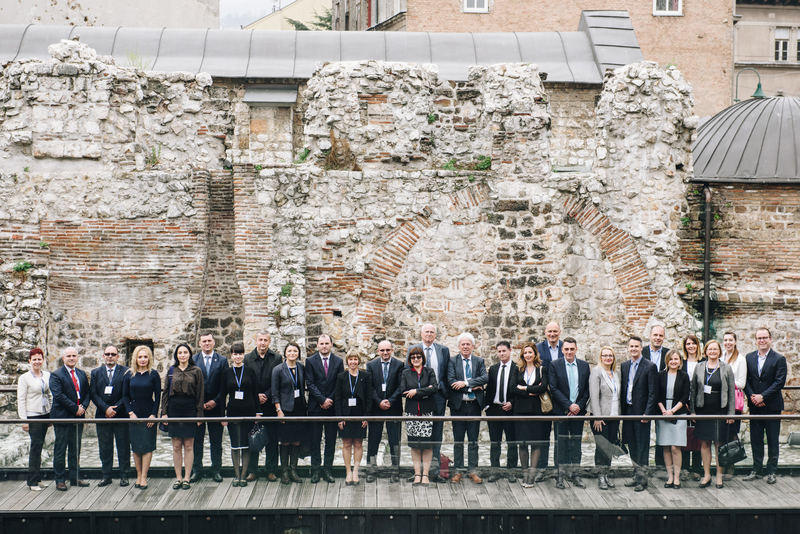 Directors of tax administrations from South East and East Europe, their deputies and senior management staff gathered in Sarajevo, BiH on April 9-10 to discuss ways about how to reshape tax administrations through leadership. 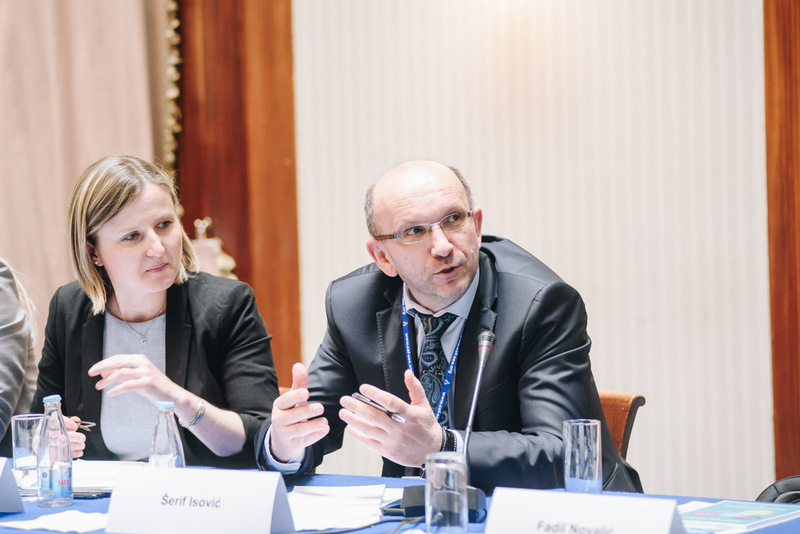 Round-table was opened by Fadil Novalić, Prime Minister of the Federation of BiH, Šerif Isović, director of Tax Administration of Federation of BiH, and Jana Repanšek, Director of the CEF. At the round table we contextualized, why the change is needed and discussed differences between internal and external leadership and the roles that leader should take and implement. 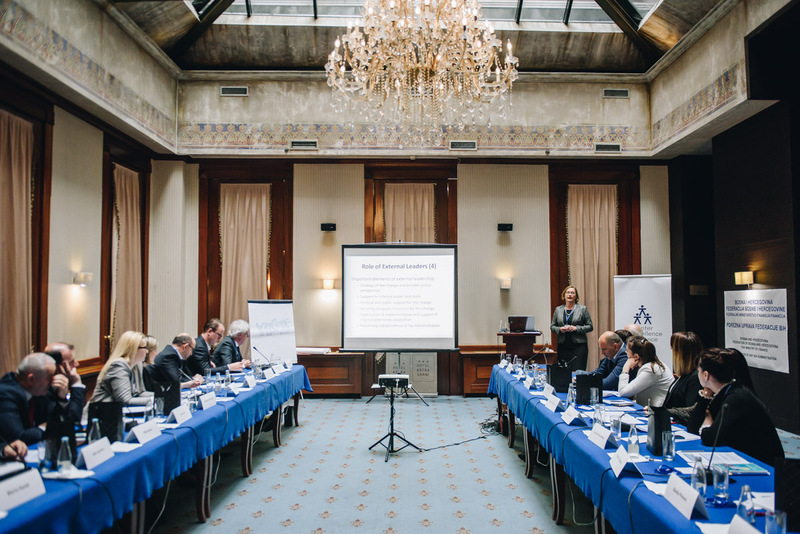 Discussion was focused on behaviour influencing,leading dialogue with taxpayers and building trustworthy relationship. 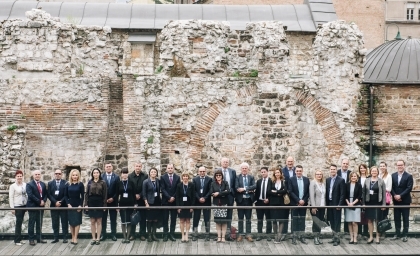 As tax administrations in the region are not isolated institutions and should cooperate among each other, we also tackled main challenges of cross – border cooperation. We discussed the topic together with regional and international experts: Mateja Vraničar Erman, former Minister of Finance of Slovenia, Steffen Norman Hansen, former IMF Revenue Administration Advisor for SEE, Bert van den Boorn, Strategic Advisor at International Affairs Department, Tax and Customs Administration of the Netherlands​. The importance of the topic was recognized also by presence of various media. Links to publishments in local language below.